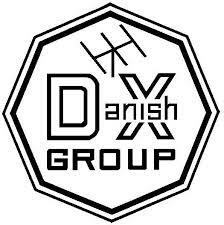 Generous Matching Fund Grant from the Danish DX Group! We are very pleased and thankful for a generous matching fund grant made by the Danish DX Group of $1000 x 2 = $2000 on behalf of Club officers Kenneth, OZ1IKY, Leif, OZ1LO, Allis, OZ1ACB, Finn, OZ7YY and all of the club members. Thank you so very much, and look for great signals from VK0EK! ← Heard Island Now The Longest Inactive Entity on the DXCC List!